The first international workshop of the Gandhara Connections project, a three-year initiative by the Classical Art Research Centre, Oxford University, supported by the Bagri Foundation and the Neil Kreitman Foundation, took place on 23 and 24 March 2017 at the Ioannou Centre for Classical and Byzantine Studies, Oxford. This major event was dedicated to one of the key problems outstanding in the study of Gandharan art: chronology and dating. Chronology is not only fundamental for establishing the nature of Gandharan art’s connections with the traditions of Greece and Rome, but also for any other systematic attempt to put it in context or explain its development. Despite recent strides in understanding the chronology of Gandharan art, considerable obstacles remain. 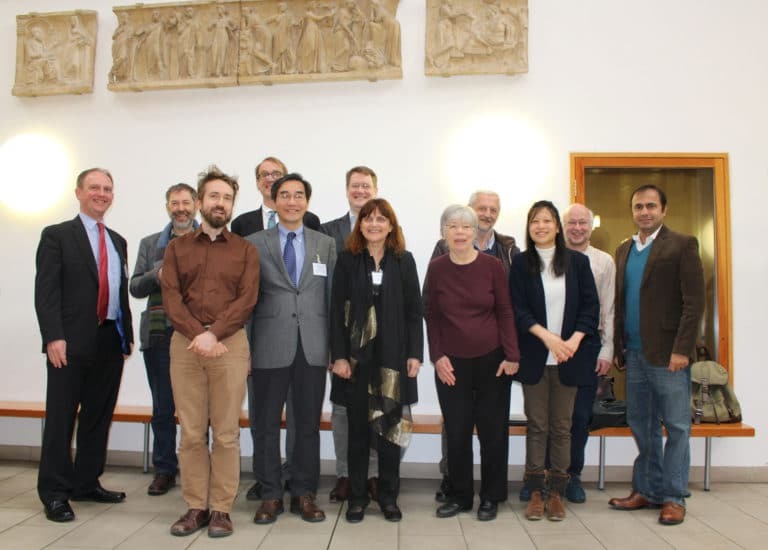 By combining the most recent knowledge and critical thinking across the disciplines of archaeology, art and architectural history, epigraphy, linguistic studies and numismatics, the aim of the first international workshop was to move the debate forward and facilitate exchange of ideas and information. Aiming to stimulate new insights into Gandharan art and reach out to the widest possible audience of researchers, students, and others interested in Gandharan art, these contributions were recorded and will be soon available here.